The U.S. has started removing military equipment from Syria, officials told ABC News on Friday. The military “has begun the process of our deliberate withdrawal from Syria. Out of concern for operational security, we will not discuss specific timelines, locations or troop movements,” Col. Sean Ryan, a spokesman for U.S. coalition forces said in a statement. The statement comes a month after President Trump's announcement of his plan to do so caused ripples in Washington and was credited with causing high-ranking departures in the Trump administration. Officials told ABC News that it was only equipment that had been withdrawn thus far and no American troops had left. The Syrian Observatory for Human Rights specifically said 10 armored vehicles and some trucks were seen leaving the Syrian town of al-Rmelan. “We have made a number of preparations for the deliberate withdrawal from Syria including planning for personnel and equipment moves, preparing facilities for retrograde and moving materials out of Syria,” one official told the news agency. 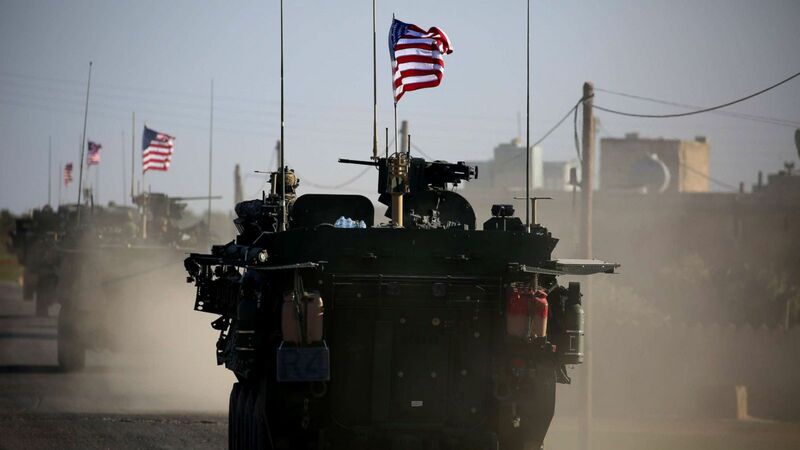 Trump's decision to withdraw U.S. troops from Syria, announced last month, was considered to be the main reason for the resignations of Defense Secretary James Mattis and coalition forces special envoy Brett McGurk. Other top Pentagon aides, including Mattis's chief of staff and Pentagon spokeswoman Dana White, have also resigned in the past month. In a statement announcing his departure in December, Mattis appeared to rebuke the president's treatment of U.S. allies in the Middle East and elsewhere around the world, while stating that Trump deserved a defense secretary more closely aligned with his political beliefs. “Because you have the right to have a Secretary of Defense whose views are better aligned with yours on these and other subjects, I believe it is right for me to step down from my position,” Mattis wrote in his resignation letter.